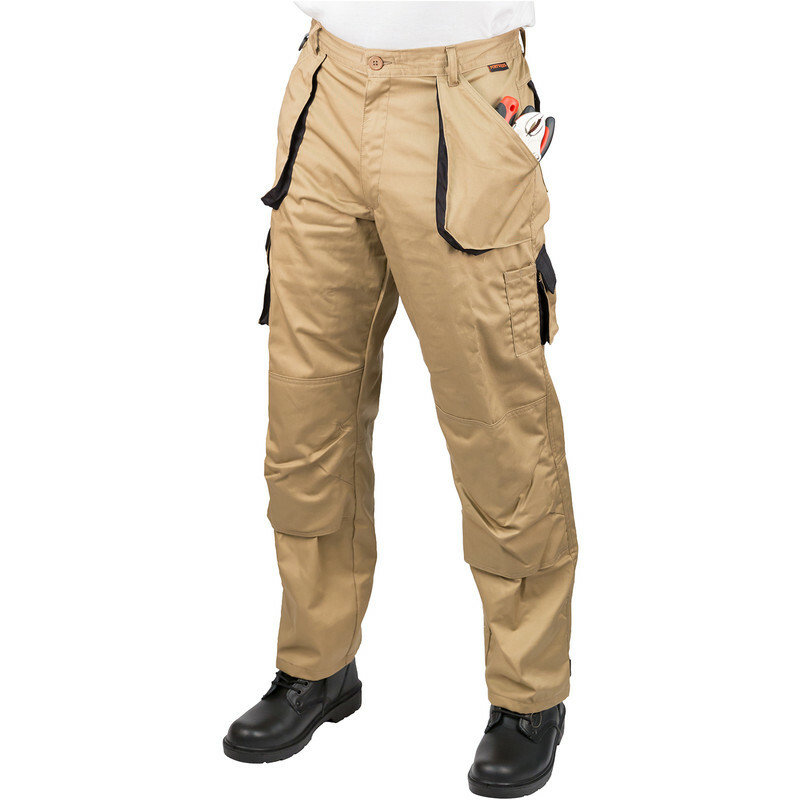 Texo Contrast Trousers 36"-38" R Khaki is rated 3.9 out of 5 by 36. Rated 2 out of 5 by John The Handyman from Very baggy and too short Thought I'd try these as an alternative to the Portwest Action Trousers that I know well. I was really disappointed as my large pair, 36-38in, were ridiculously baggy on me. The legs are 31in so short. Insufficient pockets with no zips. Button to do up may not last long. Returned and bought Portwest Action Trousers that come in 34in leg. I've had 4 pairs over the past 10 years and they last well. It's usually the fly zip that breaks first but I really appreciate all the zipped pockets and the good fit. Rated 4 out of 5 by Shanklin58 from comfortable for the Summer Bought these for the summer. Just as good as more expensive makes.